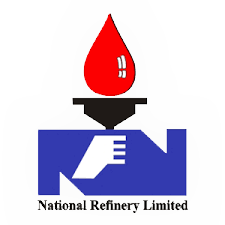 National Refinery Limited is a petroleum refining and petrochemical complex engaged in manufacturing and supplying a wide range of fuel products, lubes, BTX, asphalts and specialty products for domestic consumption and export. NRL objectives and development strategy are aimed at achieving sustainable productivity and profitability and high standards of safety, occupational health and environmental care. This entails human resource re-engineering & development, enhancing value addition, implementing conservation measures and continuing growth through upgradation of existing as well as addition of new facilities. In the changing global environment, corporate objective and development strategy have been defined to meet the challenges of 21st Century. · Ensure that business policies and targets are in conformity with the national goals. · Contribute in meeting the country’s demand of petroleum and petrochemical products. · Customer’s satisfaction by providing best value and quality products. · Optimization of the value of barrel of crude oil and cost reduction through conservation measures. · Achieving and maintaining a high standard of Occupational Health, Safety and Environmental care. · Ensure reasonable return on the shareholders’ existing and projected investments. · Maintain modern management systems conforming to international standards needed for an efficient organization. · Contribute in national efforts towards attaining sustainable self-efficiency in petroleum products. · Human resource development by upgrading training facilities and exposure to modern technologies/management techniques. · Balancing and Modernization for energy conservation and enhanced yield of value added products as well as revamping for environment friendly products. · Expansion of refining capacity by debottlenecking and adding new facilities. · Acquire newer generation technologies for the efficient refinery operations as well as for attaining highest standards of Occupational Health, Safety and Environmental care. · Acquiring self-sufficiency in re-engineering, design and fabrication of equipments.